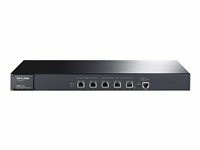 The TL-R600VPN SafeStream™ Gigabit Broadband VPN Router by TP-LINK guarantees high-speed wired connectivity by supporting Gigabit Ethernet connections on both WAN and LAN ports. The TL-R600VPN also integrates multiple high-security VPN protocols and capabilities which enable employees to remotely connect to their main office as securely as if they were at their main office. 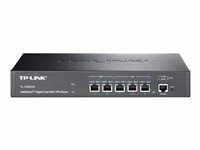 Plus, the TL-R600VPN employs abundant security strategies such as SPI Firewall, DoS Defense and IP-MAC Binding which help protect your network against external attacks. 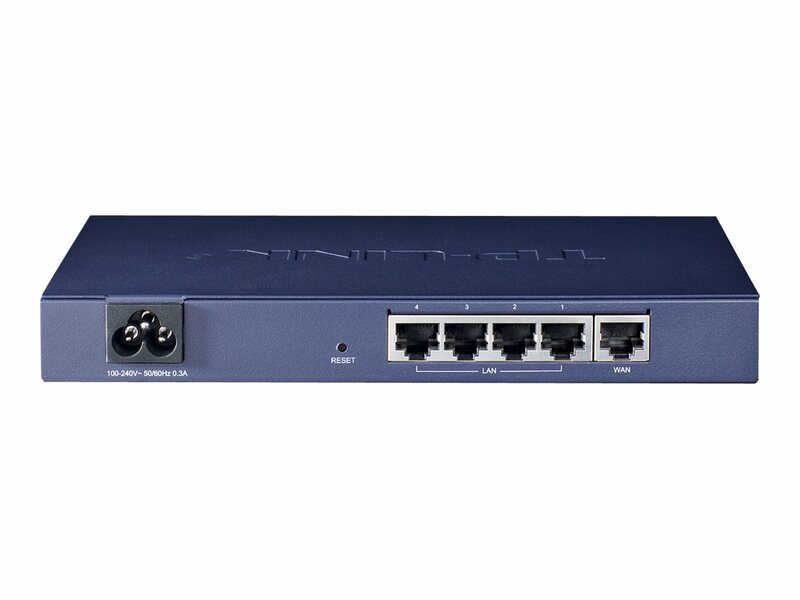 TL-R600VPN is an ideal partner for small offices, bringing you cost-effective and reliable VPN solutions. The TL-R600VPN supports IPsec, PPTP VPN protocols, and IPsec/PPTP/L2TP pass-through traffic. 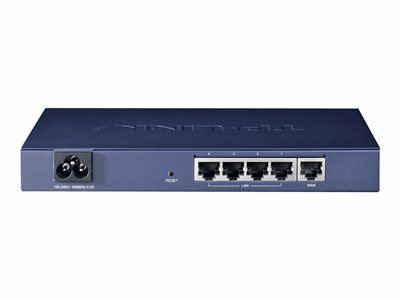 It also features a built-in hardware-based VPN engine allowing the router to support and manage up to 20 LAN-to-LAN IPsec and 16 PPTP VPN connections. Advanced VPN features include: DES/3DES/AES128/AES192/AES256 encryption, MD5/SHA1 authentication, Manual/IKE key management, and Main/Aggressive negotiation modes. 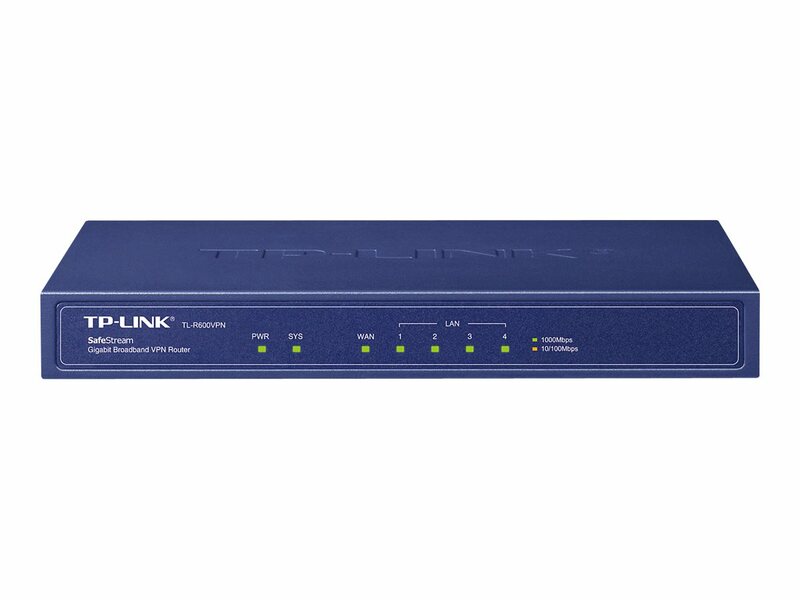 For defense against external threats, the TL-R600VPN features its’ SPI Firewall function. Additionally, the TL-R600VPN can automatically detect and block Denial of service (DoS) attacks such as TCP/UDP/ICMP Flooding, Ping of Death and other related threats. Furthermore, this router provides IP/MAC/Domain name filtering functions which forcefully prevent attacks from intruders and viruses. For applications such as FTP, TFTP, H.323 and RTSP, which are not well compatible with NAT, the TL-R600VPN offers administrators one-click enabling of ALG choices corresponding to the above four mentioned applications. Professional lightning protection technology employed in the TL-R600VPN prevents electrical surges from penetrating the interior of the device and discharge them harmlessly into the Earth. The TL-R600VPN is designed to prevent lightning damage of up to 4KV in the well-grounded connection conditions. This feature ensures that networking infrastructure investments remain as safe as possible from one of Mother Nature’s violent elements.